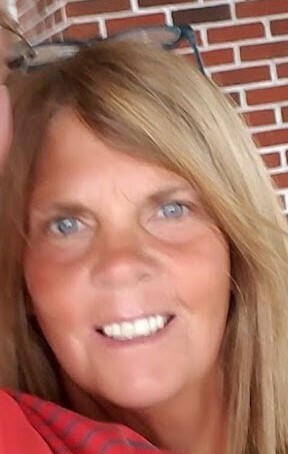 Julie Zimmer, age 64 of Foley, passed away peacefully at the St. Cloud Hospital surrounded by her family on December 4, 2018. She was a loving mother, grandmother and sister. Mass of Christian Burial will be 10:00 AM, Friday, December 7, 2018 at SS. Peter & Paul Catholic Church in Gilman. Visitation will be from 4:00 to 8:00 PM, Thursday, December 6th at the Foley Funeral Home and one hour prior to the service at church on Friday. Parish Prayers will be at 5:00 PM, Thursday evening at the funeral home. Burial will take place in the Parish Cemetery. Service with Dignity provided by the Foley Funeral Home. Julie Zimmer was born on December 12th, 1953 in St. Cloud, MN to Charles and Rita (Brenny) Towne. She married Donald Zimmer on February 16, 1973 at St. John's Catholic Church in Foley. She was a life long resident of rural Foley. Julie graduated from nursing school in 1979. Since that time, she worked at the St. Cloud Hospital, Foley Nursing Home, Your Travel Agency and recently retired from the St. Cloud VA Medical Center. Her caring personality was a blessing to many when they were in need of special attention. Many would say Julies laugh was infectious and her outgoing personality brought joy to many. She enjoyed every minute she was able to spend with her kids, grandkids, siblings or friends, whether it was on the farm, at the lake or on a beach. We will all remember her in her flannel pajamas, with readers on her head and a smile on her face. She is survived by her three children; Carrie Zimmer (John Galasso), Glenn Ellyn, IL; Jesse (Mandy) Zimmer, Wilmington, NC; Charlie (April) Zimmer, Foley and eight grandchildren: Hailey, Mason, Jack, Gavin, Clara, Alex, Gracelynn and Lydia; brothers and sisters: Charlie, Jim, Suzette, Liz and Conrad. She was preceded in death by her parents, Charles and Rita and husband, Donald and a nephew, Matthew. In lieu of flowers, please make a contribution to; Juvenile Diabetes Research Fund, to support #sweetasclara.